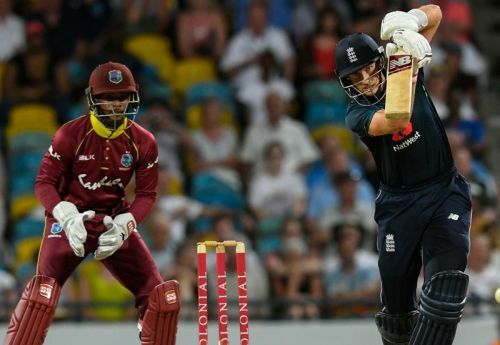 West Indies and England are set to face off against each other in the fourth ODI at National Cricket Stadium, St George’s, Grenada. After the third game was abandoned due to rain, both the side would be eyeing to emerge victorious in this match to take an unassailable lead in this five-match ODI series. Currently, the series is beautifully poised at 1-1 with only two games remaining to decide who will clinch this ODI series. England have not been at their best since arriving in the Carribean earlier this year. Having lost the test series, England will be desperate to perform well in the last two ODI matches. Eoin Morgan will be hoping to lead his team to another series win under his leadership. The visitors look hot favorites in the ODI series as they have played some unbelievable cricket in the past year. After chasing 360 runs in the first ODI, they looked well on course to seal this series. However, their celebrations were cut short in the second ODI, as the hosts defeated them by 26 runs. The World No. 1 ICC ODI team must be eager to make a statement heading into the final two games of this ODI series. West Indies, on the other hand, are riding high after their dominant performance in the second ODI. After being hammered in the first ODI, the home side made a terrific comeback to level the series. Under the leadership of Jason Holder, the Windies are becoming a force to reckon with in the ODI format. Winning this series will do a lot of good for the team ahead of the 2019 ICC World Cup. With the arrival of Chris Gayle, their batting will get an immense boost while the bowling lineup will be led by Kemar Roach in the upcoming ICC World Cup. All-rounder Andre Russell is set to return to the Windies squad. He can come in to replace Carlos Brathwaite. Kemar Roach has been forced out of the ODI series through a back injury. Ben Stokes is still doubtful for the 4th ODI following an ankle injury. Chris Woakes can return to the playing XI to replace Moeen Ali or Tom Curran.